There are a great many different kinds of personal loans options open to you. So much so, in fact, that it can even begin to overwhelm you when trying to figure out which is right for you. This is important because there is no single best type of loan for everybody. Each person in need of a personal loan is going to need it for different reasons, will have different circumstances, and have different spending habits. Just because you may need some quick cash doesn’t mean you need to make a rash decision that could negatively affect your financial future. Two common options available to meet your money-borrowing needs are personal installment loans and payday loans. Which one is right for you? This article is here to help you figure that out by explaining the difference between the two. How Do Personal Installment Loans Work? 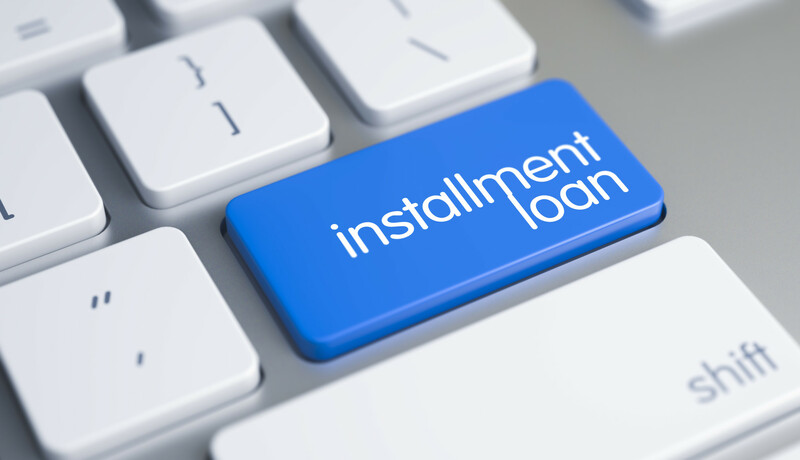 Installment loans are usually what comes to mind when people think of financing a purchase. Homes and automobiles are the two most common purchases people turn to this borrowing method for. A personal installment loan differs a bit from this big-purchase borrowing method though. This specific type of loan is usually reserved for those in need of a relatively small sum of fast cash. Still, it follows a similarly predictable loan structure. Just as the name suggests, these loans are generally structured to be paid in fixed increments, or installments. These installments are payments on the loan that are a combination of two parts. First is the loan’s principal. This refers to the amount that was actually borrowed. The second part is the actual cost to borrow money, which is the loan’s interest. One of the benefits of this type of loan is that, as mentioned, it is a predictable way to borrow. When applying for the loan, you should already know your loan term, installment payments, and payoff amount. One of the cons to this type of loan is the potential for credit-affecting, costly penalties that missed or late payments can incur. When it comes to the easiest way to get fast cash, payday loans are right towards the top of the list. Even if you have fallen into a rough patch in the recent past and have less-than-average credit, you could very well still be able to get a payday loan as long as you can prove that you have a stable job with a steady paycheck. This is because of the way these loans work. Your next paycheck is signed to the lender to act as security against you paying off the loan. If by the end of the loan term, which would be the date of your next paycheck, your loan isn’t paid off, some or all of the money of that paycheck would be used towards that loan. Rather than paying the loan back in installments, you can simply pay back the money lent, plus the cost of borrowing, and be out of debt. One of the major pros of this type of loan is that it’s a small sum to be paid back in a short period of time. As long as you get ahead of the payoff amount, you don’t need to worry about a debt hanging over your head for a long time to come. Knowing the difference between certain types of loans–in this case, the shorter-term types of personal installment loans and payday loans–allows you to weigh the pros and cons of each potential decision as it relates to your unique circumstances. Having the knowledge to do so equips you to make wise financial decisions, empowering you to gain control of your financial future. This, in turn, leads to greater overall stability, happiness, and success. If you’d like some help in getting back on track in taking control of your financial situation, get in touch with us to see how we can help.